Hi everyone!! Today's blogging tip is about a gadget that's been around for a awhile, but I haven't used it in years. It's the Poll Gadget. Thought I would try it again and show you how to do it too!! Here's what it looks like on my side bar. 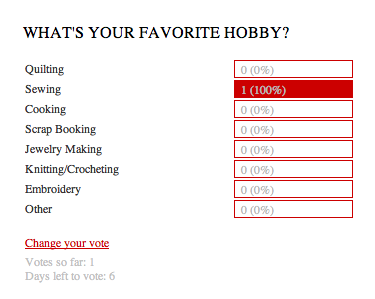 This isn't the clickable poll, just a screen shot. To vote in the poll, just click on the actual poll on my right side bar. SCROLL LIST TO FIND "POLL"
Then create your answer choices. 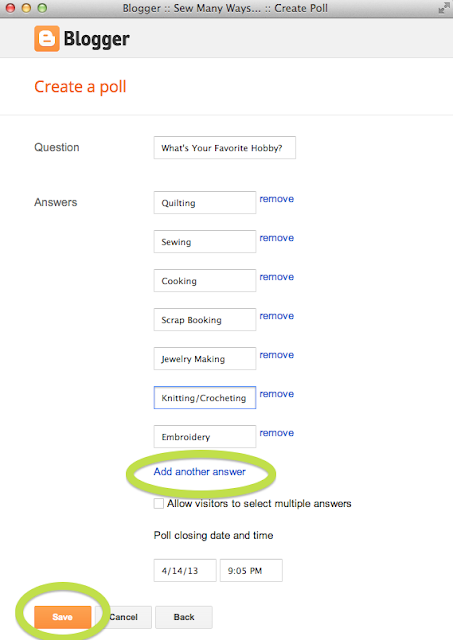 You can "add another answer" block too. Your gadget will appear at the top of your side bar, so slide it into position where you want it on your side bar and click save again. 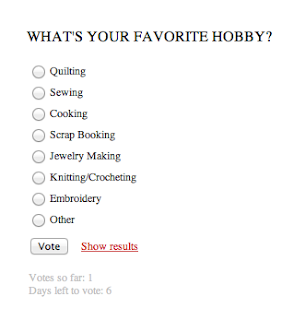 There is a way to add the actual working poll inside your blog post itself, but it involves html coding and I'm not up for that. Lol !! It's just as easy to see the poll on the side bar. Plus it's always there for the whole week, unlike a post which moves down and out of sight. 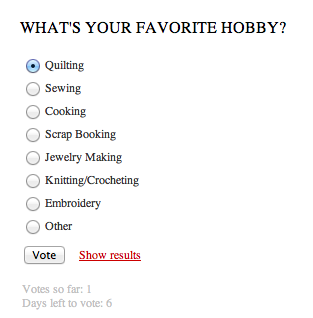 To vote, just click on one answer and click the word Vote. It's anonymous and just a percentage rating for the most popular answer. You do have a chance to change your vote. 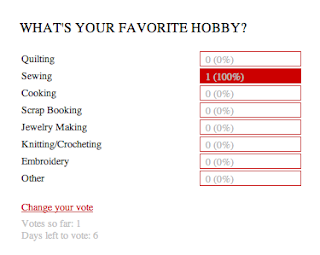 If the results aren't showing, you can click "show results" and the percentages will show up. See? There's my new vote added to the results. Have fun with your poll questions. 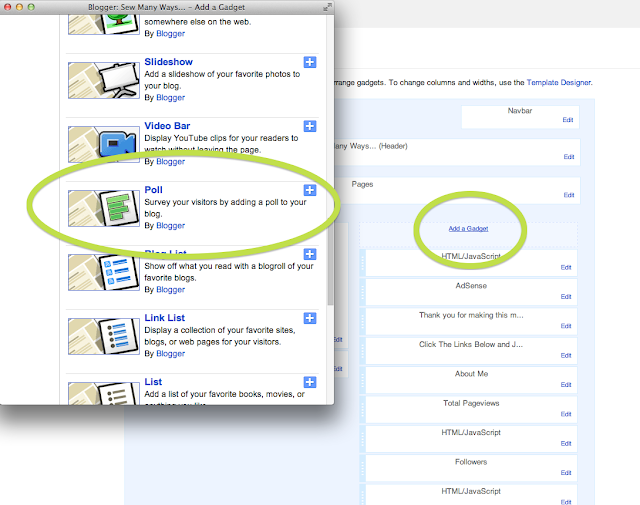 It's a great tool for interaction on your blog. Perfect to hear from people who don't usually comment or don't have a way to comment...they can join in on the fun too!! Just an FYI...you can't edit the poll once the first vote is there. I forgot to add Blogging to the list of favorite hobbies. Crazy, I know!!! 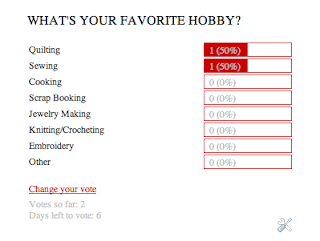 Don't forget to go to my side bar and vote on this week's poll...your FAVORITE HOBBY!! I have tried to figure this out, but had no idea I could do it in blogger. Karen you are fabulous with all your blogging know-how. I have learned sooooooo much from you. Thank you yet again for your great posting. Great tip! I just added a fun poll to my blog! 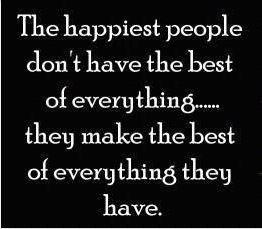 Hope you have a good week! wow, what a great tip! Thanks! THANK YOU! 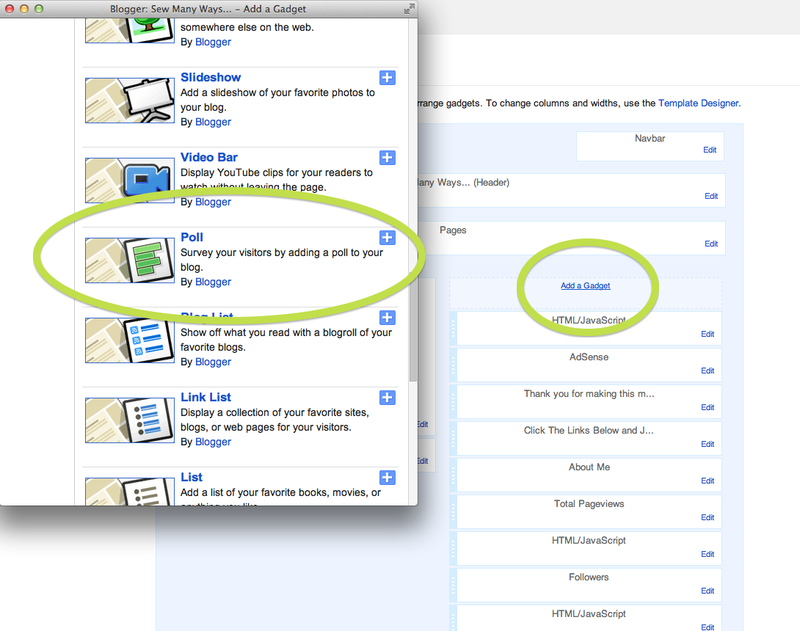 Your blog tips are the best!!!! Thank you for sharing this tutorial with us!!! I pinned this tutorial! Thanks for taking the time to prepare these tutorials for us, they are appreciated!! Thanks! 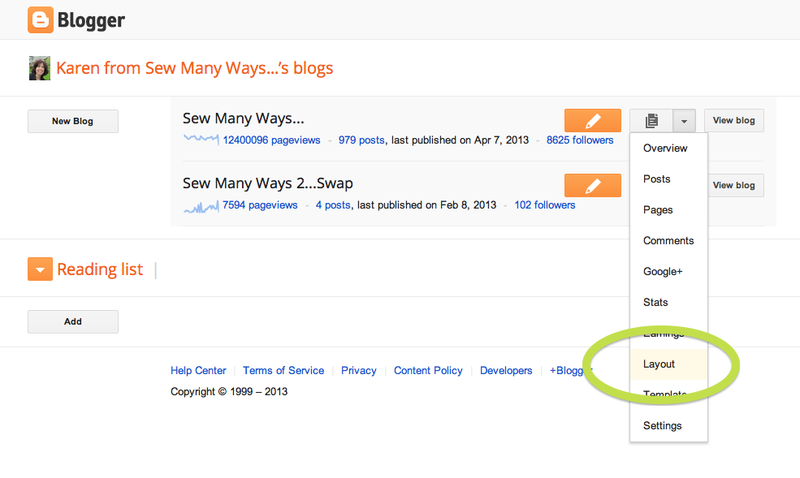 This really helped with my blog! but can you help me adding a like button to posts on my blog?